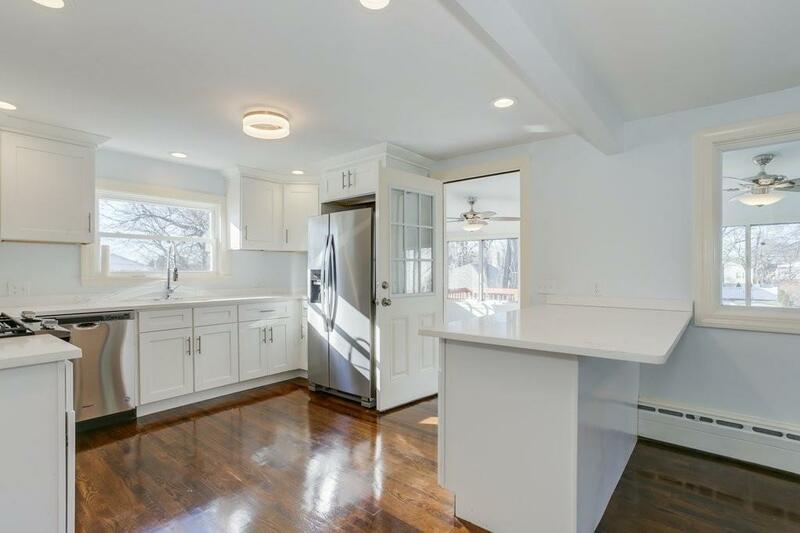 Don't miss this 3-bedroom Cape in one of West Roxbury's most convenient neighborhoods. Walk in and enjoy the fully renovated kitchen including stainless steel appliances, custom cabinetry, and quiet-close drawers open to a lovely dining room and family room with a woodburning stove. The second level includes two large bedrooms including the master with a brand new bathroom. In addition, you'll find a huge finished basement. Outside enjoy a lovely deck overlooking the backyard. Plenty of parks, shopping, and restaurants nearby, plus easy access to Washington Street, VFW Parkway, I-95 and close to public transport. Listing courtesy of Chris Kostopoulos Group of Keller Williams Realty. Listing provided courtesy of Chris Kostopoulos Group of Keller Williams Realty.